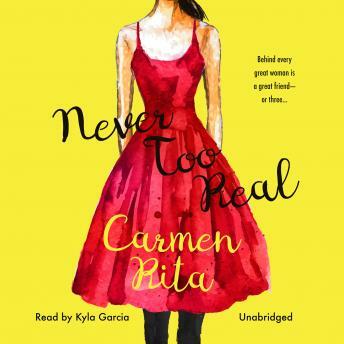 In Carmen Rita's savvy, scandalous, and wise new novel, four close friends who've earned the best of everything are forced to decide what they can afford to lose. Cat, Magda, Gabi, and Luz have helped each other up the ladder with unshakable encouragement-and raw honesty-since forever. But lately, trouble is throwing everything these formidable women thought they knew into doubt. When outspoken Cat's high-flying television career crashes and burns, she's got to figure out which dream she wants to keep alive the most-her own, or someone else's. Gorgeous venture capitalist Magda defied her traditional family to make her own way-in her personal life and her career-but an unexpected crisis could finally shatter her chance to resolve the past. As a therapist, sensitive, supportive Gabi has all the answers. But when her own world falls apart, can she turn her compassion-and her trademark tough love-on herself? And proud, wealthy Luz thought she knew everything about her upper-class family background-until a revelation she never saw coming threatens to be the one legacy she can't afford.